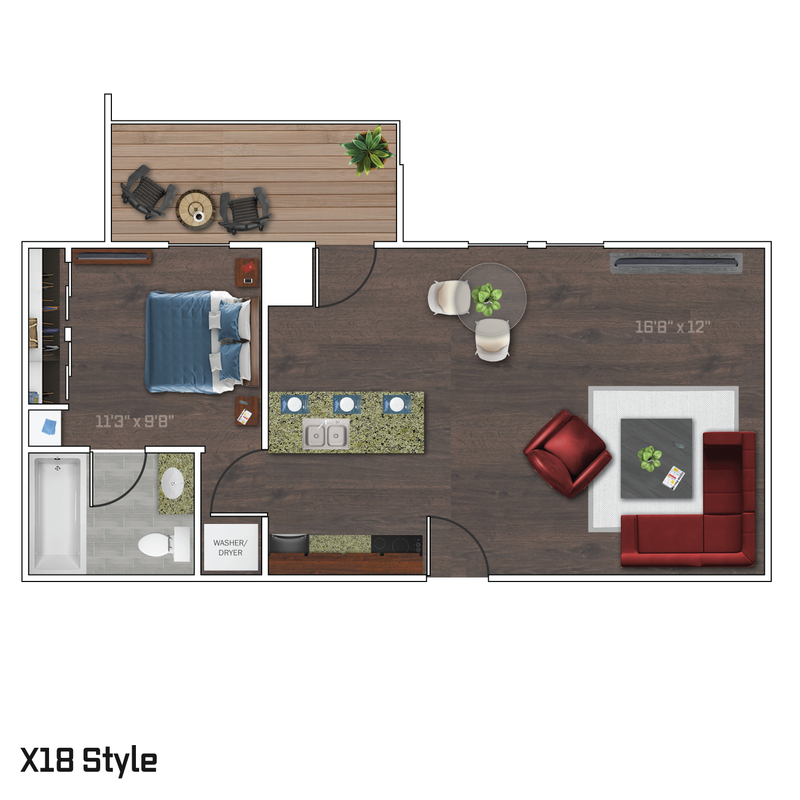 This apartment has a unique layout. The living area is very large, immediately noticeable upon entry. There are some nice sized windows, and a large balcony that can be seen from every room in the apartment. The kitchen layout allows for a breakfast bar area, and next to that is the large, open living room. The bedroom has two large, sliding door closets, and a bathroom that is connected. This layout is one of the most versatile available.